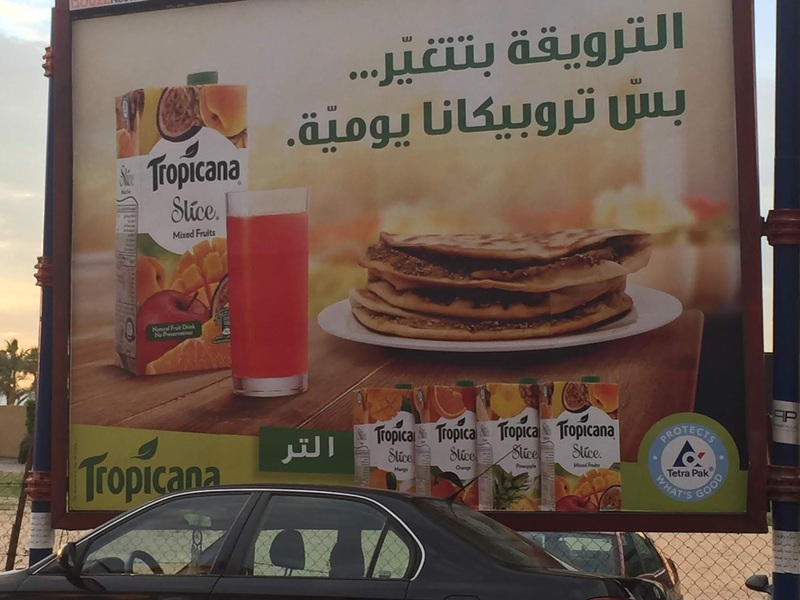 Tarek Chemaly: Tropicana plays the constant card. Tropicana plays the constant card. 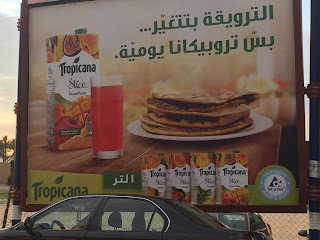 Tropicana juice has a new ad which says "breakfast changes... but Tropicana is daily". What is a little odd is that the ad only offers one type of breakfast (the manoushe - the thyme on a dough), no labneh no kenaffeh, no other variants of a breakfast. Yet underneath you have several flavors of Tropicana. I felt it goes a little against the concept. I do like the line but the visual left me confused.